Everyone loves a great deal, and Tennessee’s consignment stores are where you can find the best ones. There’s no telling what you’ll discover inside a consignment store, from gently used items to things that still have the original price tag on them! The best part is, you can scoop up the goods for well under normal retail price. 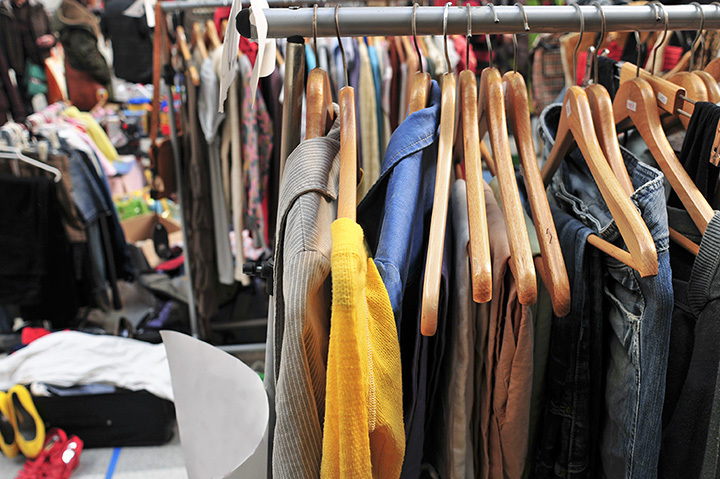 What will you take home from these 10 best consignment stores in Tennessee? With two locations in Nashville (one for guys and one for girls), this high-end consignment boutique specializes in like-new clothing and accessories from top designers. Among their displays you’ll find the likes of Prada, Burberry, and Yves St Laurent, among others. If you’re consigning items with them, you can check their website for a list of items they do and do not accept before you drop off your inventory. This posh furniture consignment store features showroom-ready pieces that you’ll be proud to put in your home. They carry some of the best names in furniture design, all gently used and priced below retail for a second life. You’ll find just about any piece to outfit your home—even ones you never knew you needed to complete your space! Every bride deserves to feel beautiful on her big day, and Loveliest is the best place to find that awe-inspiring dress for less. Their dresses are a blend of consignment pieces and samples from high end designers, all priced at a discount and in like-new condition. You’ll also love the shopping experience here—you get the whole store to yourself to try on dresses and find that bridal look of your dreams! This women’s consignment store is dedicated to quality clothing for sizes 14 and up. From casual to evening wear, maternity and more, you can find every piece your wardrobe needs that are like-new and priced affordably. Many customers have mentioned finding tons of clothing with the tag still attached. Dedicated to children’s clothing and accessories, you won’t find a better assortment of consignment items. The store itself is a shopper’s dream come true, with wide aisles, neat displays, and a clean atmosphere that makes shopping a breeze. They also have a variety of sales and markdowns year round to help you stretch your budget even further (because kids grow too fast!). This upscale women’s boutique carries the best in high-end items like furs and handbags and everyday wear, so you can find whatever style suits your taste and budget. On average, you can save up to 50 percent off retail, if not more, on just about every item in the store. If you’re consigning your used items, you can expect to make 40 percent of the final selling price. Part thrift store, part consignment store, you can expect nothing but 100 percent great deals. The store has been a long-standing go-to for bargain shoppers looking for clothing, accessories, and shoes. They’re picky about what they take in, but that just means you get only the best quality items that still have a lot of life left in them. For clothing for the whole family, you’ll want to stop here first. They carry just about everything, from casual wear to evening gowns and party dresses. Fans love shopping here because of the broad selection at both stores and the quality of the items. This long-running consignment store has one of the biggest showrooms in the area, just over 14,000 square-feet! It’s well-stocked with top notch furniture and decor that appeal to even the pickiest designers. If you decide to consign your items, you get half the selling price. Packed with treasures just waiting to be discovered, this unique consignment shop makes it hard to walk out empty handed. They’ve got a little bit o’ everything, from clothing and accessories to lamps and books to home decor and more. You can drop off consignment items without an appointment, or schedule a time for them to go through your clothing and choose what they can accept on the spot.